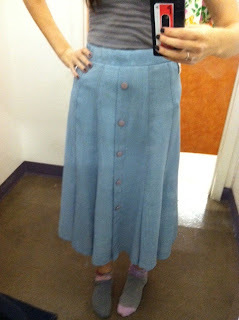 fact: thrifting is one of the greatest pleasures of my life. it's also a good cure for the shopping bug, minus the guilt. ...but today we are not thinking about that. so, enjoy my finds from a recent Goodwill run! photos, courtesy of my smartyphone. 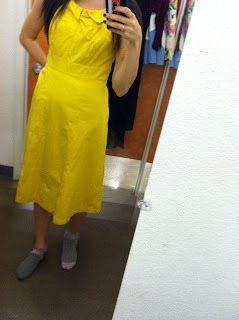 modesty in the yellow dress, courtesy of my hair. 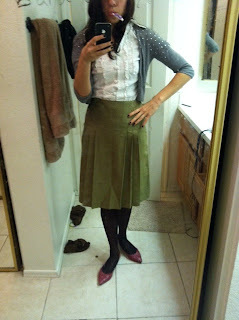 class & style, courtesy of my mismatched, folded-down socks. ...lest you be confused, like everyone always is. 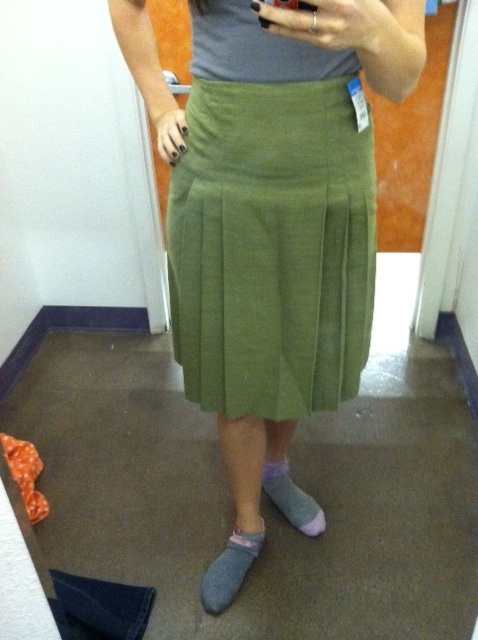 i totally wore that green skirt this weekend. maybe in my messy bathroom? maybe while i'm brushing my teeth? ha! except it has evolved from "i'm 15 and want to make some kind of i'm-different-than-everyone-else statement" to pure and simple "i frankly don't care enough to dig through my sock drawer for longer than 0.0009 seconds." Holy cow! That stuff is so cute. What a steal! I may have to try my local goodwill out. Per your comment above, my philosophy on sock matching has evolved in line with yours. looks like you had success "thrusting." i still need to learn how to find awesome clothes, i just don't see it. Super cute! those are some seriously great finds. I love thrifting.